The main issue of this mod is to make battles more interesting and mircomanagement for economy easier. This is relaized and in many ways: formation-figthing is now the way to fight; every formation form get a bonus. Flanking and surrounding bonus are applied. Units that are low in Health getting a malus in attacking. Almost every soldier can now promoted up to a hero. There a automatic battalion production for make the micro easier. 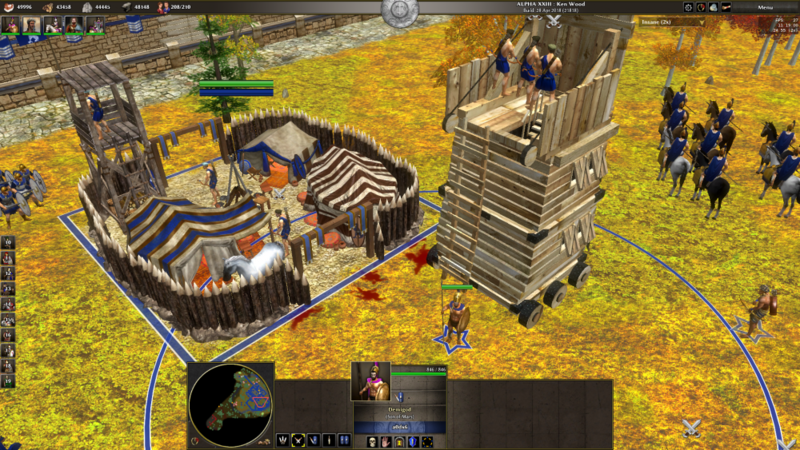 Countering of unit-types are improved. For installation: download the zip file. 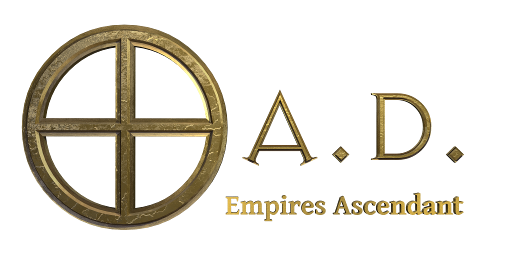 Then drag the zip file with your mouse (keep the left Mouse button down) to the 0 A.D. icon. OR unzip the download, place the unzipped folder into ..../binaries/data/mods/, then in game enable the mod in Options/Mod Selection, then press 'Start Mods'. To see all changes go in "Learn to Play" and then in "Structure tree". You can play the mod now in single and multiplayer modus. Rough countering stats: Sword infantry is +60% better than phalanx Units in direct battle. Cavalry does extremely bad vs phalanx and pikes, Cavalry has very good armor vs sword units but performs bad vs pierce damaging units. Elephants are now a strong units in battles esp. 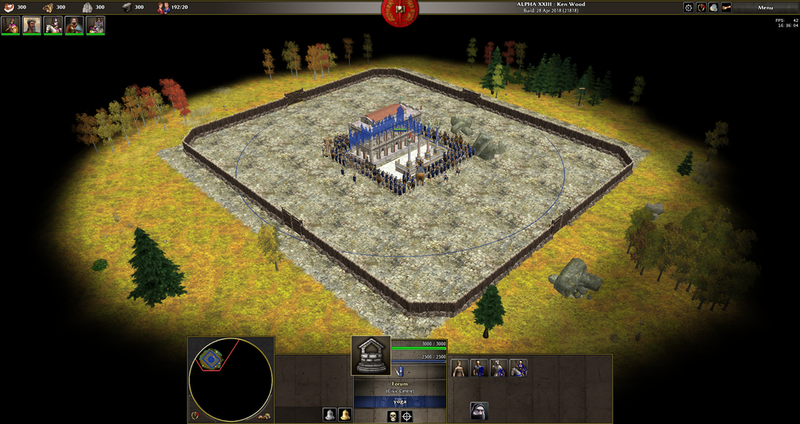 against sword infantry units, but they have also a weakness vs. ranged units. What you must know about the Mod, which isn't shown in Structure tree: every unit have a health generate of 0.5HP/s when idle, but they lose 0.1 HP/s when fighting. Buildings are weaker vs. sword units and give more loot, Unit behavior is improved, regarding chasing, attacking, capturing. Corrals give food trickle, but are a good investment only in the longrun. Formation fight now closer together. Formations get a automatic Hotkey , in config/defaulft.cfg you can assign yourself a hotkey for the hotkey groups 11-20. Formations give extra bonuses: Phalanx:+25% Health/-10% Speed and Attack; Syntagma:+25% Health, -10% Speed ; Testudo:+4 Pierce Armor/-10% Speed ; Wedge: +20% Attack/-10% Health; Forced March: +40% Speed and +30% Attack, but -50% Health and -0.1 HP/s; Skirmish: +10% attack, 10% Slower. Promotion from Basic Soldier to Elite Soldier to Champions to Heroes and beyond. Also Battalion Production is now possible. A static catapult can now be build everywhere. Attacking a Unit from the side by melee Units (a.k.a. flanking) gives a slight attacking bonus (10%) , and even more attacking from attacking behind (+30% Attack). And Units have a lower attack-rate at the first attack, when they have to turn around to attack an enemy Unit. Fighting causes now a slight HP loss, of -0.4HP/s, but not beyond 25 Hitpoints or lower. Fresh troops , Units with more than 75% Health, have 15% more attack. Exhausted troops , Units with less than 50% Health, have 15% less attack. Units regain 1.5 health, when idle. Heroes and champs even more. Build roads for faster movement, and more beautiful cities. New random maps: dune and fert are from nani. So thanks to nani. In some the new maps new gameplay is implemented, f.e. with no unit gathering, but buildings give resources; or Soldier cannot work anymore. Or some maps offer some noob buffering so 2vs1 is possible or a game between different skilled players. New Scenario Maps like BattleMania are great for testing the mod and for a fast 1vs1 online battle with big armies, somewhat like in TotalWar. Heroes bonuses rebalanced and lower HP. Lower food gatherrate for cavalry. Almost every civ plays now pretty different from eachother, and almost every special Unit of a faction is pretty strong. Gauls f.e.. have strong fanatics, Maurys Elephant Archer and Maceman are stronger. 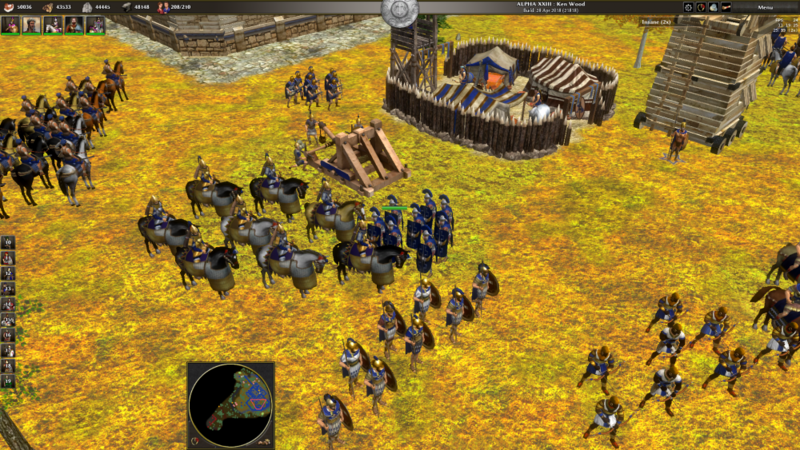 Sparta has a strong Infantry which promote faster, but Sparta lags of good Cavalry and other good Units like War Elephants.Rom, and Persia has the advantage of the Army Reform(officer of commands) and Macedonian have free of cost auxiliary-troops, so they have more strategic options in battlefield. 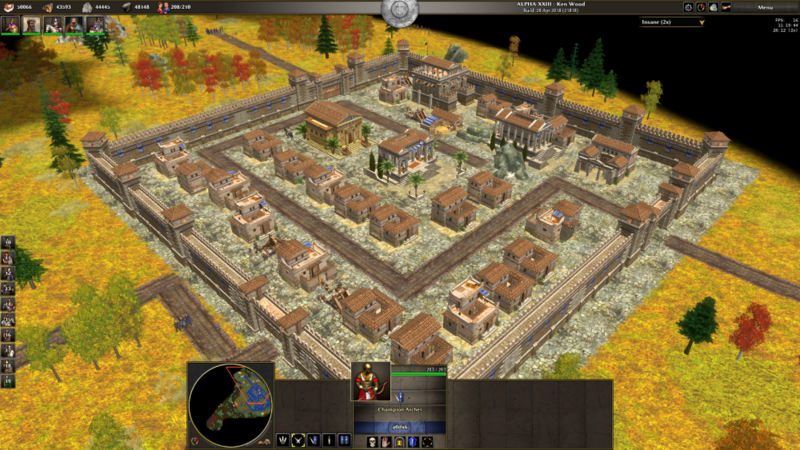 Macedonia can build an auxiliary camp which spam free of cost auxiliary troops nonstop in a batch of 8 Units, which are weaker than normal troops. Rome, Persia, Athen and Macedonia have now the option to upgrade a Citizen Melee Soldier Unit to an officer (after the tech Army Reform), which give an aura under which the same type of Unit fight better. Every faction that don't have Sword Infantry is a bit harder to play cause it is the best weapon against other Infantry Melee Units. Brits and gauls farmstead have a 10% aura for farming near them. The easiest to play is Sparta, difficult to play is Macedonia, cause they don't have normal Spear or Sword Infantry. Hotkeys that work for trainable Units work now also for selection of buildings. F.e. if pressed "Z" (the default-setting) and a Unit is selected, now a House (because its the first element in buildings-panel) is selected and can now be placed to build by this Unit. If "Z" is pressed when a Building is selected, then still the first Unit will be build, like before. Selecting wounded Units is disabled, cause promotion up to heroes and better mirco would cause some imbalance. Is there a way to know changelogs of every new release? do i need to install it manually?